Customize our Blue Church Invitation Door Hanger Template and more! 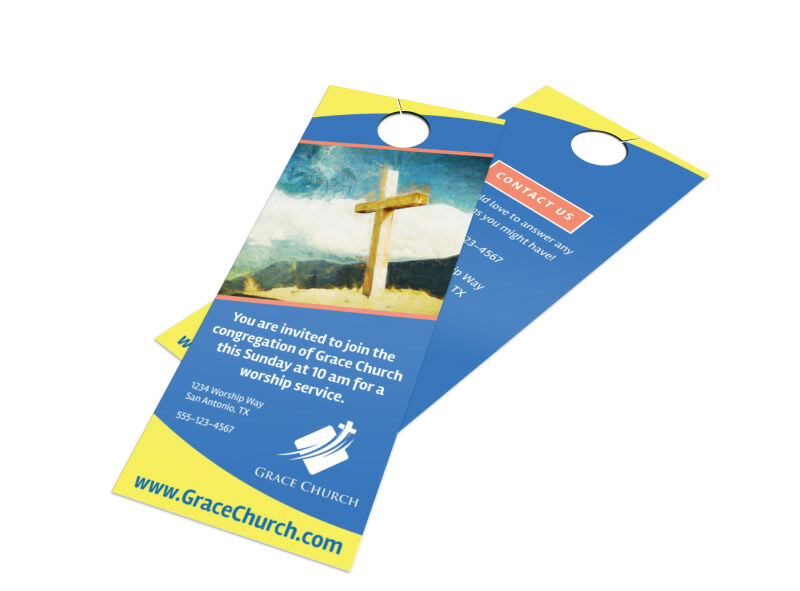 Spread the word and the good news of your church with this exquisite invitation door hanger. Customize it with the name of your church, its location, and an inspirational Bible quote to encourage the public to strengthen their relationship with the Lord via your religious establishment. 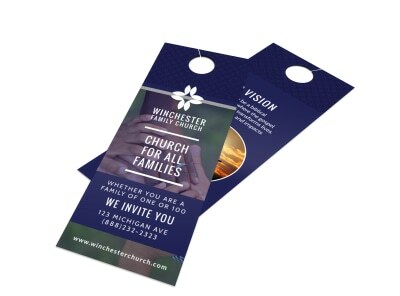 This blue church invitation door hanger will surely catch the attention of anybody interested in expanding their faith.